Tried my hand on carrot cake with recipe from Doris Greenspan "Baking from My Home To Yours". I added in extra crushed pineapples, dried cranberries and lots of walnuts but omitted the dessicated coconuts. The cake turned out moist and flavorful. The height provided room for two layers of frosting. 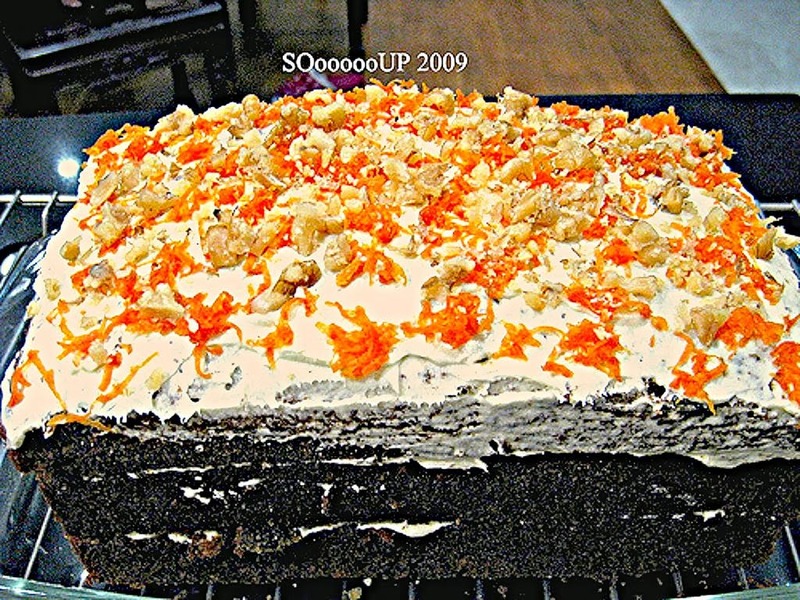 A thick layer of frosting on top dotted with candied carrots and walnuts. It was a pleasure to have you visit and thanks for telling me about the cucumber.